From inspiration to applause, bring your music to life with Finale. With Finale, anyone can quickly arrange or compose publisher-quality music notation that plays back with world-class sounds. The results are easily shared sheet music, audio files, or via the free Finale SongBook iPad app. Whether you're teaching, testing, or sharing music puzzles and games, Finale provides easily customized resources. From flashcards and worksheets that cover the basic elements of music, to tools to aid improvisation and discover form and analysis, the content you need is at your fingertips. With the free, downloadable Finale NotePad, all your students play, print, and edit any Finale files you share - as well as create their own masterpieces. Create SmartMusic accompaniments and your students can learn their music before rehearsal. Instantly generate practice pieces for your entire ensemble - without entering a note - with Finale's exclusive Exercise Wizard. Replace lost parts by scanning another part and transposing. Finale saves you time with a wide variety of powerful tools from instant range-checking to Linked Parts, which ensures your score and parts are always in sync. Exclusive idea-generating features including Band-in-a-Box Auto-Harmonizing offer quick inspiration, and when it's time to play back your creations, Garritan instruments and Human Playback produce living, breathing music. Create practice audio files so everyone can learn their part. Or share Finale files that students can play in free software, including Finale NotePad and the free Finale SongBook iPad app. Scan in existing sheet music and transpose to suit a singer's range. Easily write multiple verses of text/lyrics. Explore public domain music online via MIDI and Finale files. While Finale has always been the first choice for teaching music composition, it also offers many tools for music theory as well. Create harmonic analysis, figured bass and Schenker graphs, and easily place music examples into word processing documents to create theses and dissertations. With a performance every week, you need to produce music quickly, often with a changing cast of instrumentalists and singers. Scan a song or hymn and orchestrate with any parts you need. A couple clicks of the mouse and you've changed the key, transformed your instrumentation, or created a soaring descant for that final stanza. Imagine bringing ALL your music to every practice, rehearsal, and performance—in one hand. Imagine hearing sheet music play back. Imagine printing copies and parts. Imagine Finale SongBook for the iPad. Free at Apple's App Store. With Finale's Setup Wizard you're up and running instantly. Enter notes quickly with a MIDI keyboard, or a mouse and computer keyboard. You can also scan existing music, or import music from Sibelius and other programs as MusicXML™, MIDI or TIFF files. While today's Finale is easy to use, if you ever have a question you can count on free support, video tutorials, and the industry's best on-line 24/7 Help resources. 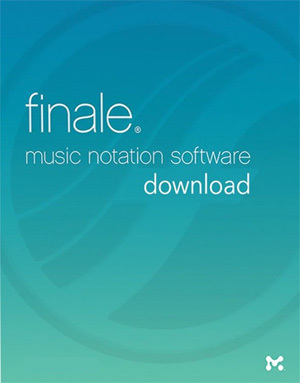 Finale 25 is the world standard of music notation software. Your legacy deserves Finale.